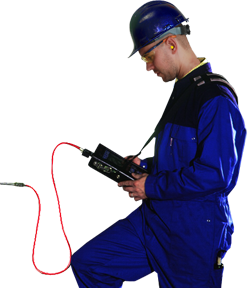 Condition monitoring is of high importance in the marine and offshore industry. The same goes for Marine Contracters and Heavy Lifting. Condition Monitoring increases availability during lifting and predicts early failures. Maintenance and overhauls are planned accordingly and sudden failures during lift activities are prevented. Characteristic for the marine sector is the fact that ships are continuously on the move. It is however still very important to monitor the condition of the machinery on board. After all, maintenance and repairs at sea are very costly. In order to provide a continues and up-to-date overview of the condition of critical machinery on board ships or platforms, van Geffen VMS (temporary) installs sensors on these machines. For one of our customers we temporary installed an online-system (XP32 Machinery Health Expert) on a hoisting installation. 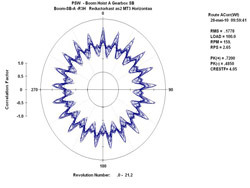 After the installation of the system in American waters, the vibration data were analyzed in our office in the Netherlands. All analysis reports, with practical recommendations, where then e-mailed back to the ship. The customer was active with the installation of deep sea pipelines in the Mexican Gulf. During the hoisting operation on record depths it was necessary to continuously have an up-to-date insight in the condition of the most critical bearings and gears. Any sudden failures during hoisting operations would directly lead to enormous costs, and should therefore be prevented at all times. With the installed online monitoring system the customer ensured himself with up-to-date knowledge of the condition of the installation. 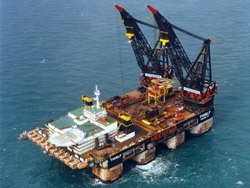 Any, during the operations originated damages were directly detected and repaired before a new hoisting operation was started. Early wear on components was detected and replacement parts were ordered in time.